When most of us think of buying a home we think of the nice detached house with a picket fence and a nice backyard. Most of us have come across the idea of buying a condo at one point in time. Buying a home or buying a condo will depend on your individual needs and lifestyle. Below are some quick tips that will empower you to make a better decision. 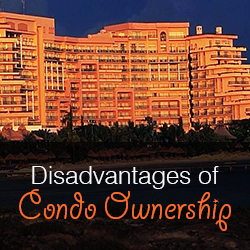 “Condo” is short for condominium and describes a type of real estate ownership. You are essentially buying an apartment. Both look identical in appearance and you cannot tell an apartment complex from a condominium development simply by looking at them. 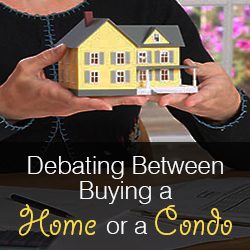 The differences are legal and reflect a different level of interest in real property. From a technical point of view you are the owner of the airspace within the boundaries of the condo unit only. All other property in the development is considered to be common and an individual condo owner will only have a fractional interest in this. The advantage of buying a condo lies in its affordability. This means that a buyer will have to come up with a smaller down payment. This can be enticing to first time home buyers who are short on cash. Generally condos are easier to maintain because you only have ownership of the apartment space itself. Large items like the roof, gutters, siding, and landscaping will be maintained by the home owners association (HOA). For this reason many retirees buy condos because they can no longer maintain a single family home. Many high end condo units are being built in the urban areas of cities within walking distance of entertainment, dining, nightlife, and high paying jobs. This is especially attractive to buyers who like fast paced environments but do not own a car. Generally speaking condos do not appreciate as fast when compared to similar detached homes. HOA dues and fees can be very expensive relative to the mortgage payment. They can also “assess” large one time fees to fund new roofs or siding. Keep in mind that HOA’s have the authority to foreclose on your property so paying dues is mandatory. There are many rules and restrictive covenants regarding condos. It is imperative that you get a copy of all the rules and restrictive covenants from the home owners association and read every word of it! How does a condo differ from a single family detached house? With the single family home you are also buying a parcel of land and hence have ownership of a larger amount of real property. With ownership comes more freedom and responsibility. All landscaping, yard work, roof and gutter work is the responsibility of the home owner. Single family homes will almost always appreciate much faster than condos in similar areas and are thus more economically viable. This allows home owners to create a larger amount of equity and get a larger check at the closing table. 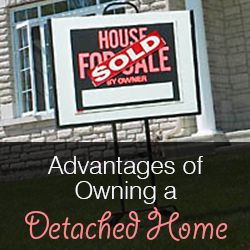 Detached are in more demand because of their versatility. There is usually more square footage and room for larger closets and amenities. A house with a fenced in yard are attractive to owner with pets or ones with a family. This makes them makes them easier to sell because they appeal to a larger pool of buyers. The absence of an HOA will give the homeowner greater freedom in designing and modifying their home. Also, money that is not given to an HOA can be used in other areas such as upgrades, or paying down the principle on the loan. Also, having the option to grill out with your friends in the back yard is a nice feature that allows a greater sense of freedom. Keep in mind that many homes in new construction subdivisions will have some form of a home owners association so never assume there is not one in place just because it is a detached home. Having more distance between yourself and your neighbors affords a great opportunity for quiet enjoyment of your property. Urban environments and having neighbors in close proximity gives rise to nuisances such as hearing load footsteps above you or overhearing a neighbor fight with a spouse etc. Ultimately you have to decide what’s most important to you. Condos can be great to a retirees who cannot maintain single family homes but do not want to rent. Single family homes are the ideal place to build equity for those in it for the long term. 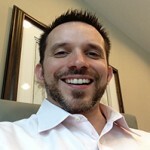 Mike Otranto has been an active real estate investor in the Raleigh N.C. area since 2005. He began with 2 – 6 unit multi-family properties in downtown Raleigh and has since moved is focus toward single family residential properties. He also holds a NC Brokers License. Visit Mike’s webpage at http://MikeOtranto.com or catch Mike on YouTube.